COOKIES are normally flat baked products that are rich in fat and sugar.They are prepared in a variety of shapes and sizes. If you want your cookies to be crisp, you need to make them stiffer, smaller, thinner and bake them for a longer time at a lower temperature. 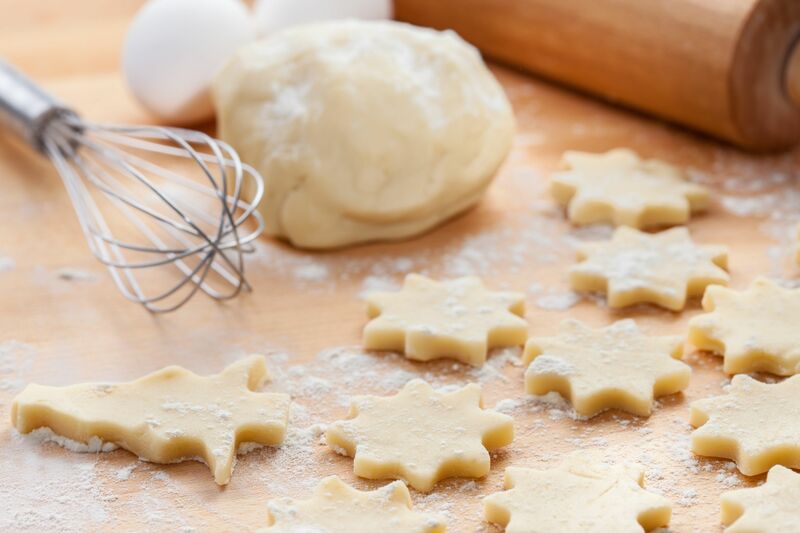 If you want your cookies to be soft and chewy, increase the moisture content of your dough.Increasing the fat content will tenderise and keep moisture in the cookies. Use humectants like honey, molasses and glucose syrup which have hygroscopic properties to attract moisture. Also, try to make larger cookies and bake them for a shorter period of time. No matter how good your recipe or how well you have mixed the cookie dough, mistakes made during baking will spoil your cookies. Cookies should be baked between 170 – 180 °C for 10 – 15 minutes depending on the size and sugar content. If the temperature is too low, it increases spreading and produces hard, dry and pale cookies. If the temperature is too high, it results in underbaked cookies. Always remember that cookies continue to bake when left on a sheet pan that has been removed from the oven. So you only need to bake cookies until they are 90% done in the oven. Cooling the cookies will set them firm. This is a French shortbread cookie that uses lots of butter. Most of the aeration comes from mixing butter and sugar together, so very little baking powder is utilised. The sugar content is also lower than most cookies. This recipe uses the simple creaming method. Butter and sugar is creamed until fluffy before eggs are gradually added. Cranberries are used in this recipe because of its high nutrient and antioxidant content. Dry ingredients are added in the final stage on slow speed so as not to develop the gluten in the flour. Prolonged mixing after the addition of flour will result in a tough cookie. All purpose flour contains 9 – 10% protein. High ratio flour is superfine flour with lower protein content of 7.5 – 8%. Using high ratio flour, lowers the protein content of the mix resulting in a tender cookie. I have chosen to add cranberries to the cookie because of its high nutrient and antioxidant content, not to mention its good taste. Cranberries contain lots of fibre, vitamins, antioxidants and also minerals which help to optimise our health and also prevent urinary tract infections. 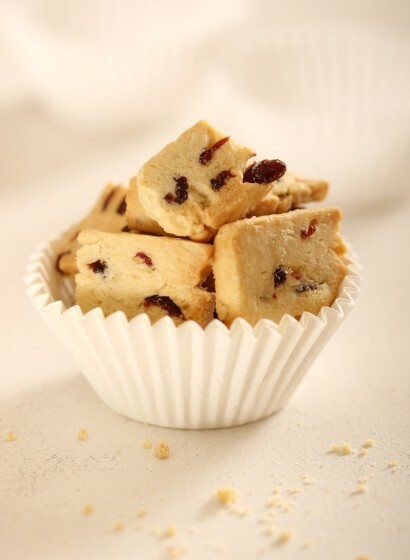 This cookie dough can be frozen in blocks for a few weeks, taken out, cut and baked whenever you need them. You can substitute cranberries with dried apricots, dried ginger or dried orange peel. You can also use walnuts, hazelnuts or macadamia nuts instead of almonds. Here’s the recipe. Don Yong is the chairman of the Malaysian Institute of Baking. He is also a master-baker, author and a self-confessed pastry lover. If you have decided to start baking and do not know where to start, why not attend one of our baking workshops.The baking workshops are conducted by Don Yong. For details, go to kuali.com/bakewithkuali/. Cranberry Almond Sablé. Click here for recipe. The Baking Workshops were excellent. Am disappointed no workshops are conducted for 2016. When will there be baking/cooking classes or workshops open again? Nothing beats attending a class and the social element was great too!! Bake with Kuali is taking a break this year. The workshops will resume next year. Thanks for your support.